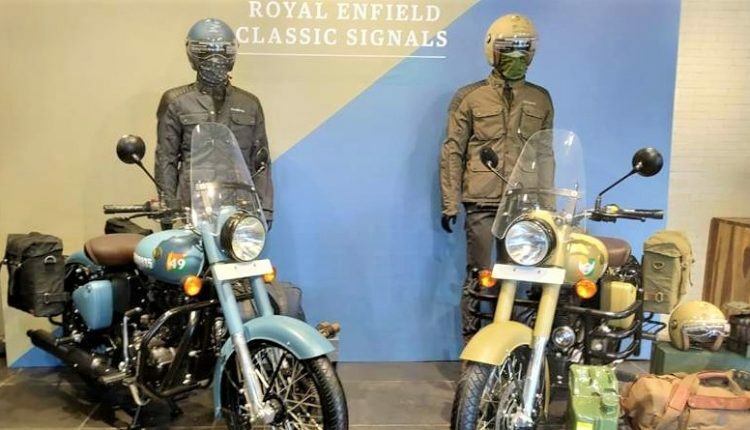 Royal Enfield Classic 350 Signals Edition is now official for India. The most celebrated Classic variant comes with ABS as standard, carrying a price tag of INR 1.62 lakh. The figure sounds familiar as Bajaj Dominar, the nearest rival in terms of engine size is also priced at the same point with dual channel ABS. The two available shades, Airborne Blue and Storm Rider Sand, will be made in limited numbers. The name is derived from Indian Army Corps of Signals, an independent division that handles communication between the armed forces. Both these shades are matte finished, with exhaust carrying matt black finish. 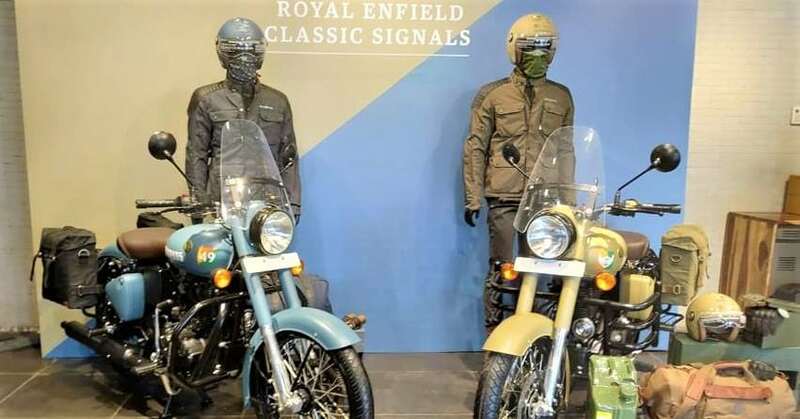 Royal Enfield Pegasus Edition was limited to 250 units but, one can expect a bigger number for Classic 350 Signals Edition. The front headlight ring, engine bay, and base of the spoke rims can be seen in matt black on the bike. Also, the spokes are left chrome for a perfect contrast. The ABS ring is clearly visible, further adding practicality to the bike by securing both brakes on wet surfaces. 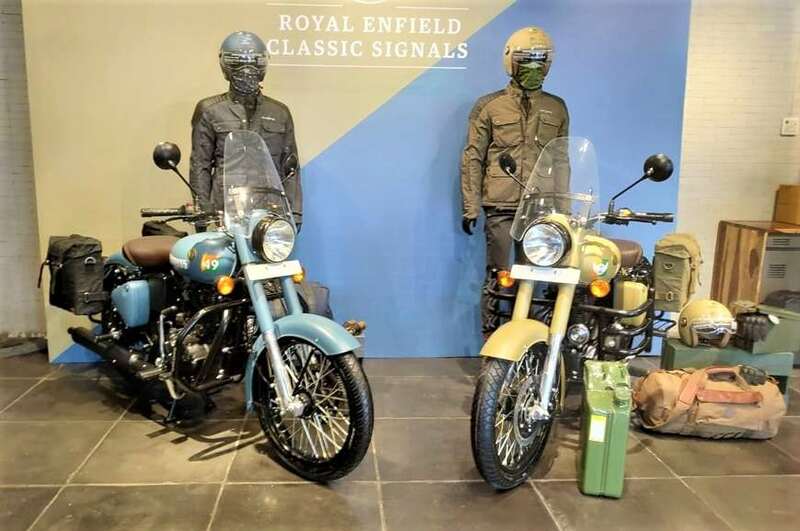 The seat available on Signals Edition is finished in a brown shade, with Royal Enfield clearing the fact that a rear seat will be available as standard on the bike. The limited edition model comes with Corps Emblem, stenciled unique bike numbering and metal Royal Enfield badge on the fuel tank. The motorcycle is powered by a familiar 346cc, single cylinder engine with carburetor fed fuel assembly, producing 20 HP at 5250 rpm and 28 NM at 4000 rpm. The engine comes mated to a 5-speed gearbox. Classic 350 Signals Edition is the first model in their entire lineup to feature ABS as standard. It is yet to be seen how long it takes to introduce the safety feature across entire Royal Enfield lineup. Buyers can expect them to price the ABS-equipped models at a premium of INR 14,000.